Some of our employees are pictured here as they stand proudly among one another, happy to serve the community whenever a disaster occurs. 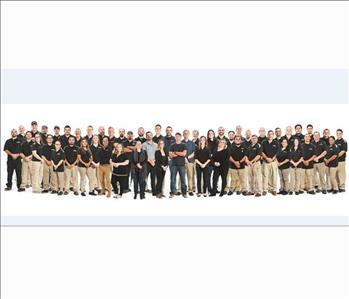 Our crew has grown so much-from 2 to over 50, and even more during the summer and winter months! The SERVPRO employees sure know how to have a good time! They were told to show off their "guns"; that's the strength that's needed to take care of your home right. 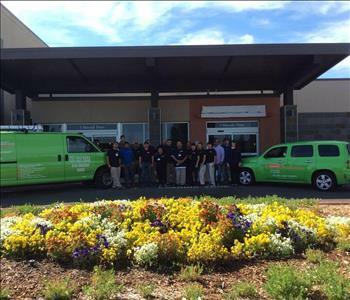 Here is our crew working on a huge cleaning detail job for the new Frank Howard Memorial Hospital in Willits. They worked through the weekend so the hospital could begin its transition as soon as possible. Great job crew! 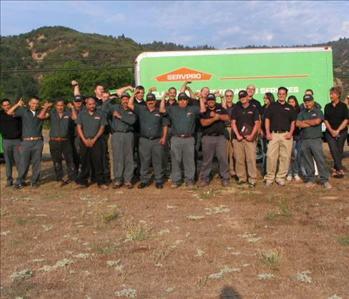 Here is an early morning shot of some of our technicians, from all three of our franchises (Lake, Mendocino, Sonoma NE). They went to the Social Services building at midnight to take care of an emergency water loss. What an awesome crew! Leo has a lot of experience for being so young! He started as a tech and has made his way to operations Manager. 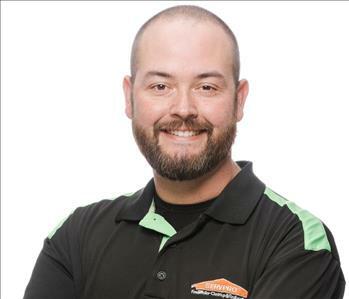 He has been with SERVPRO for several years, is Certified to deal with water, fire, and mold damage, and is a great team player. In his spare time, he loves to spend time with his family, watch movies, and spend time with friends. Pictured here is our Production Manager, Justin Roumiguiere. Justin has been with the company since 2010, and we are very proud to show him off! His phone is always on, he is informed about every job, and oversees any issues that may arise. We value Justin very much, he's such a hard worker. 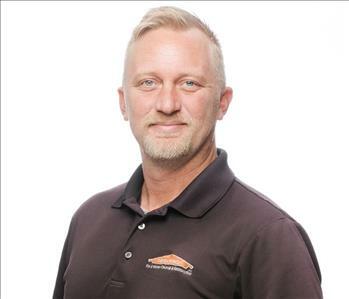 Mike has been with SERVPRO since 2018, he was worked his way up quickly into a Senior Project Manager! 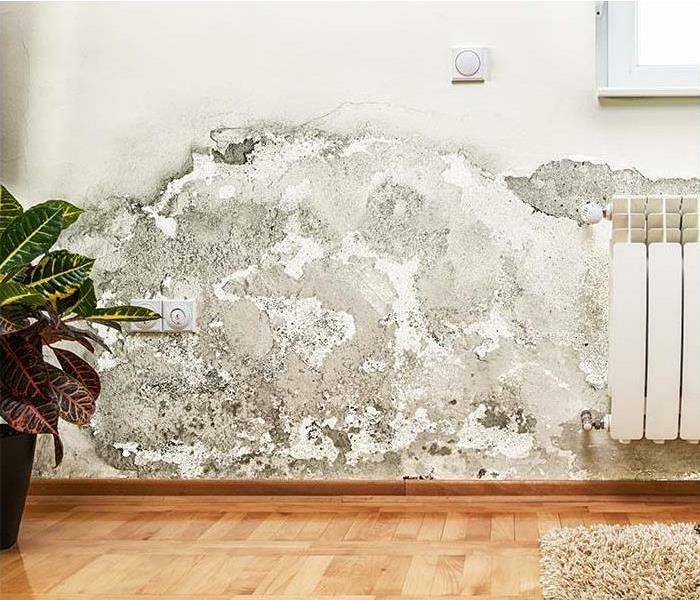 He does an amazing job at making sure that your home is "Like it never even happened." In his spare time Mike enjoys hunting and fishing. In 2017 Lori and her family made the trip from SC to CA so that she could work for SERVPRO as the Office and Human Resources Manager. 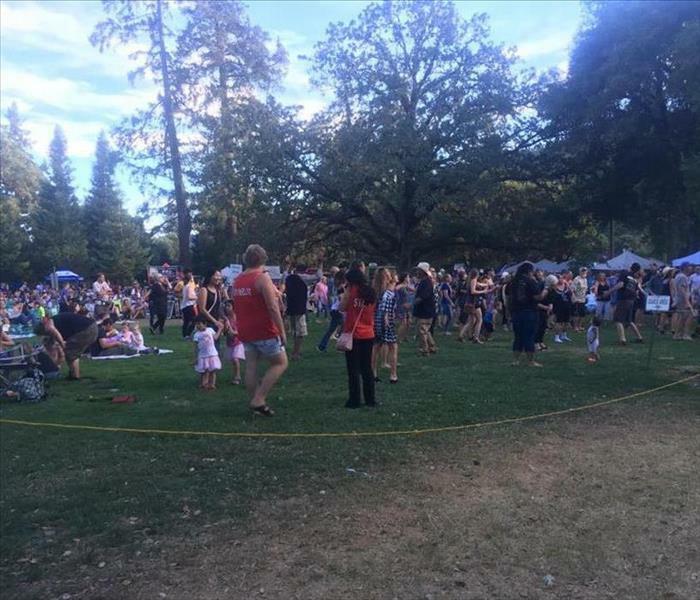 A large part of their decision to move across the country was to ensure that she and her husband could spend as much quality time as possible with their 18 month old son. When Lori's husband isn’t working in San Francisco doing photography, they like to be outdoors spending time together as a family. Lori says that SERVPRO is a great place to work. She loves encouraging our employees toward growth, and working for an organization that makes a difference in the community. 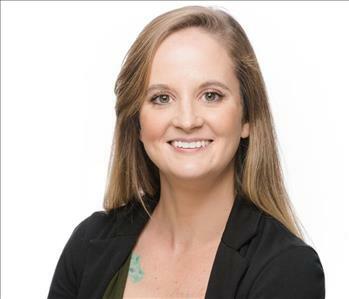 Lacey has been with SERVPRO since January 2018 as an Administrative Assistant. 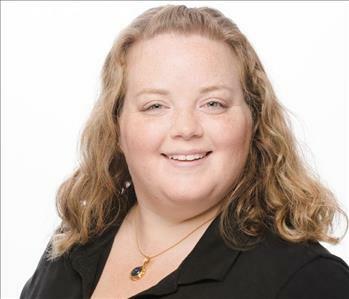 She receives many phone calls from our customers and ensures that our project managers are jumping into action. Although Lacey wears many hats in this position, she can handle any tasks that arises. 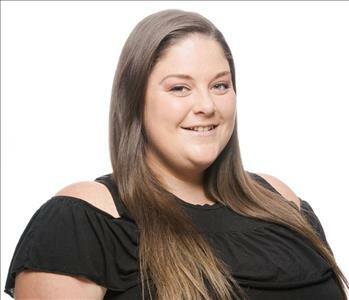 In her spare time, Lacey enjoys the company of her 2 year old son and 4 year old daughter. They love going to the park, swimming at the Lake and watching anything that goes fast and loud! Morgan is one of our Job File Estimators and she has been with SERVPRO since April of 2016! In her spare time, Morgan likes to go hiking, cook and travel! This past summer, she went to Europe for 2 months. Morgan is very knowledgeable and we really value her expertise and her attention to detail, especially when we have a heavy workload. Amanda has been with SERVPRO for over 6 years. She assists the marketing department with expenses, preparing for events, Emergency Ready Profile portfolios, and answering our calls for a First Notice of Loss. She is organized and ready to help in the office with any and all projects. Amanda also added to her list the responsibility of Accounts Receivable Specialist! In her free time, she loves spending time with her husband and their dogs as well as reading and volunteering for the American Cancer Society! We value her expertise and dedication! 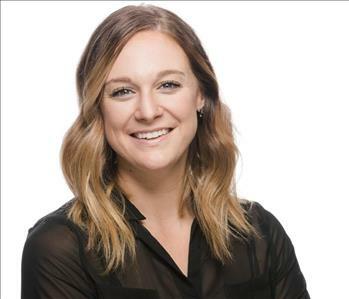 Courtney has been working with SERVPRO since March 2018. Even though she has only been with us for a short amount of time, she has been trained in a few different positions. 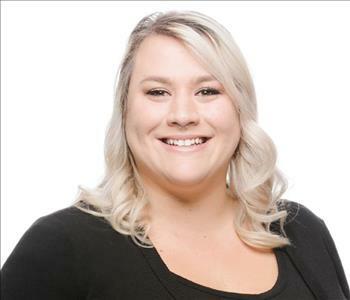 Currently, Courtney is working as an Job File Estimator, and as acted as an Administrative Assistant as well as Accounts Receivable Specialist. In her spare time, she loves to spend time with her boyfriend and their daughter. She is definitely family oriented and loves being part of our SERVPRO family! 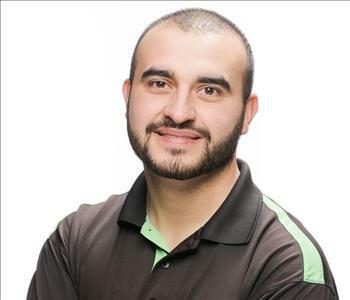 Danny is the Director of Marketing for SERVPRO. He has been part of our team for over 5 years, and bring a lot of skills and expertise. He is active with our local fire departments and fundraisers, and connects with a lot of insurance companies so we can make sure to take care of their clients when they have a loss. During his off time, he enjoys camping, golfing, and going to concerts. 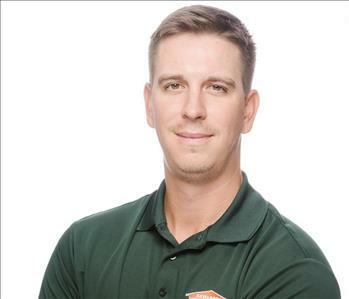 Chris has been a part of our SERVPRO marketing team as a Marketing Representative. He is one of our newest marketers as he started in June 2018 but that hasn't slowed him down at all! Before Chris joined SERVPRO, he was coaching baseball and golf at Mendocino College in Ukiah from 2010-2017. Welcome to the team Chris! It took a lot of effort, but we have become a very large company. 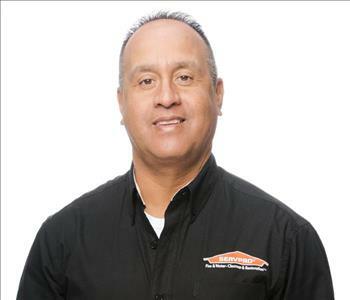 Under the direction of Doug Bridges, our five SERVPRO franchises have been unstoppable in 2019!